Finding crowd-pleasing baby shower food ideas is not always the simplest task. When I host a baby shower, I like to keep the bites light yet still feeling fancy. 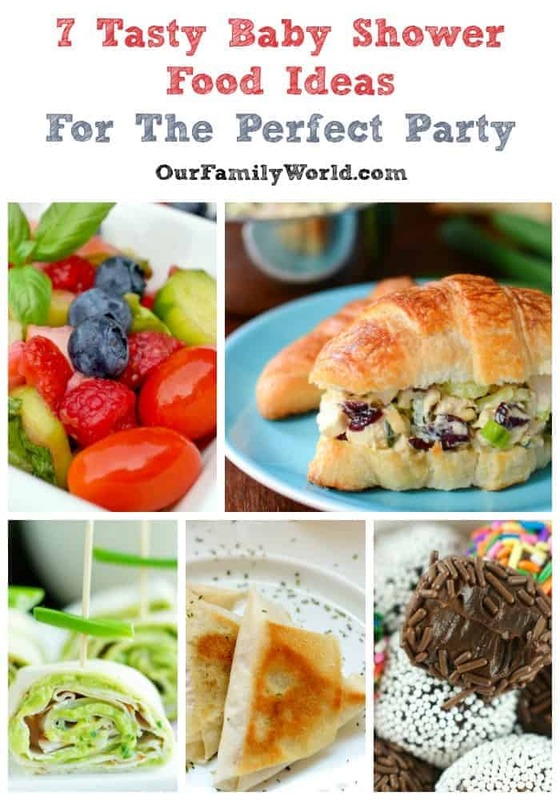 I’ve rounded up some of my favorite recipes for tasty baby shower food that are going to completely wow your party guests, especially the Mom-to-be! Choose one or all of these baby shower food ideas, and the party will be a hit! Try not to get drool on your computer, alright? Do you have favorite baby shower food ideas? I want to hear what you love to make and eat at baby showers down below in the comments! Here is a tasty idea for all of you who love cheese and crackers. 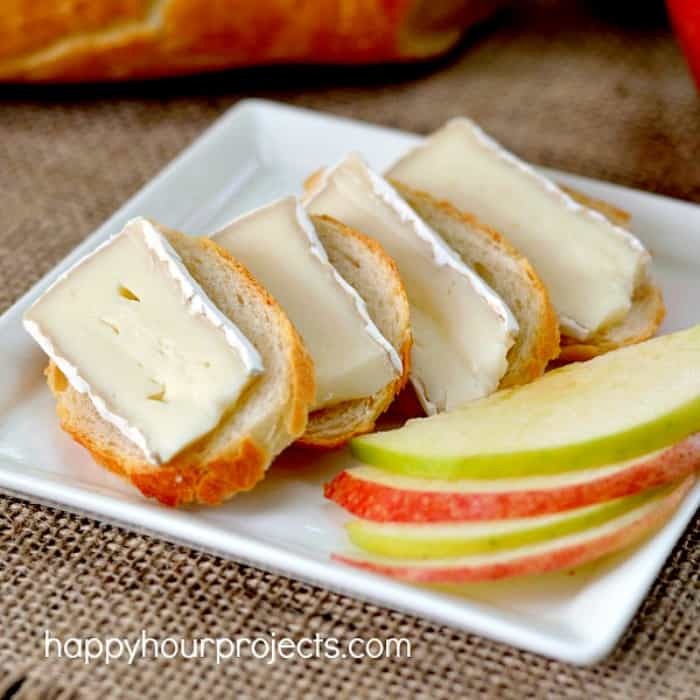 Take that sad cheese and crackers plate up a notch with this yummy Brie and Apple Appetizer. I usually set out a hunk of brie, but I love this idea of pre-slicing it to make it super easy for your guests. Add some fruity apples for a delicious combo your baby shower guests won’t be able to resist. Set this appetizer out during your baby shower games. A solid main course can be tough to find for a baby shower. Most of the time for baby showers your main course needs to be both light and a crowd pleaser. 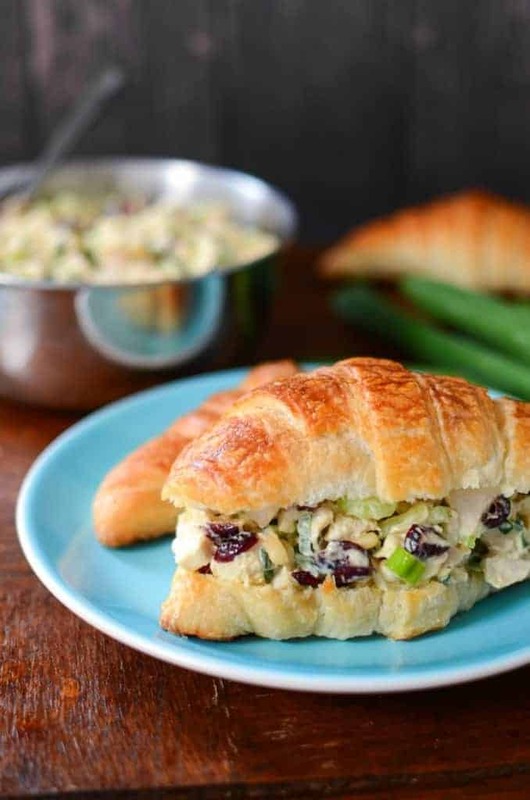 This Deli-Style Cranberry Chicken Salad is the bees knees, and everyone will be asking you for the recipe. This recipe is my favorite way to make chicken salad including lighter on the mayo and flavored mildly. Pine nuts and celery give this salad a nice crunch, which a good chicken salad sandwich needs. The addition of cranberry is brilliant for a fruity twist. I want to make one of these right now! MMMmmm, would your crowd like a handheld snack that feels super fancy? 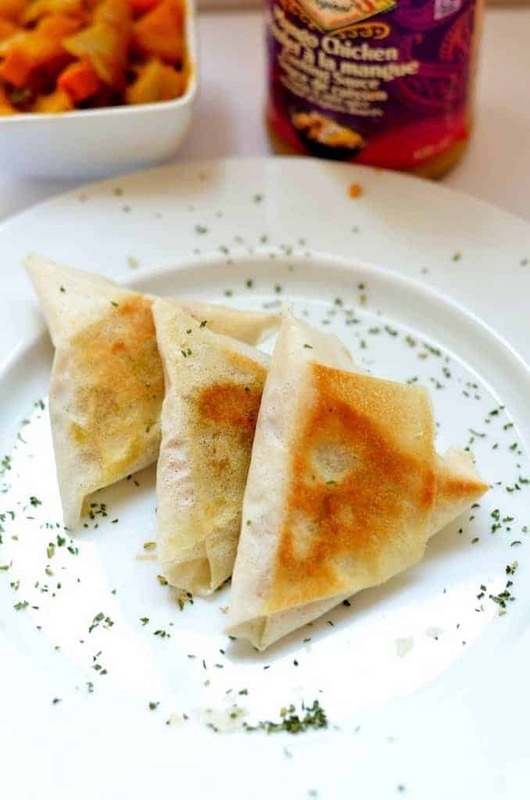 These Potato & Squash Baked Samosa Recipe with Mango Chicken is the recipe you need. These handheld snacks are the perfect appetizer for a party like baby showers where everyone is eating on their laps. Everyone will be super impressed with these creamy yet crunchy on the outside bites! 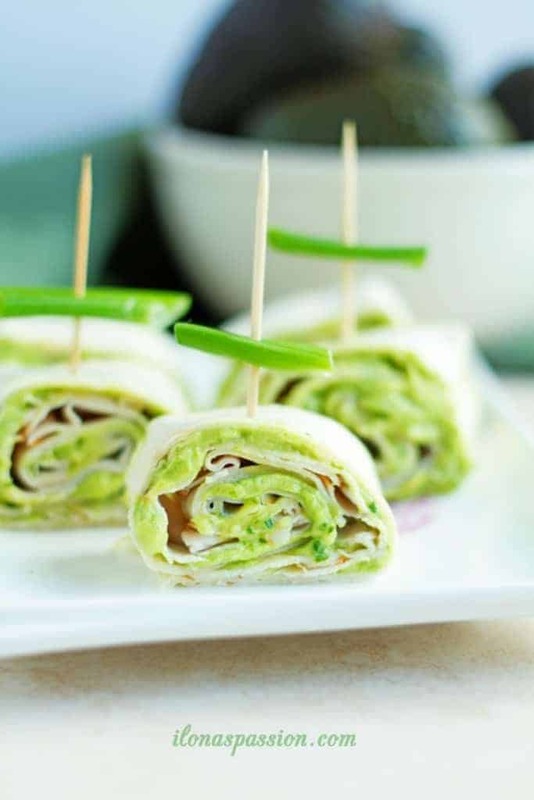 Ohh, this Cilantro and Avocado Turkey Pinwheels look fancy! I love the fresh taste of avocado, and paired with turkey it’s scrumptious. These little sandwich pinwheels whip up in a snap and are perfect for your next baby shower. Mmm, I always like to include a dish that is fresh and light feeling at a baby shower. This Tomato and Cucumber Salad With Orange Juice Dressing is sure to be a crowd-pleaser. 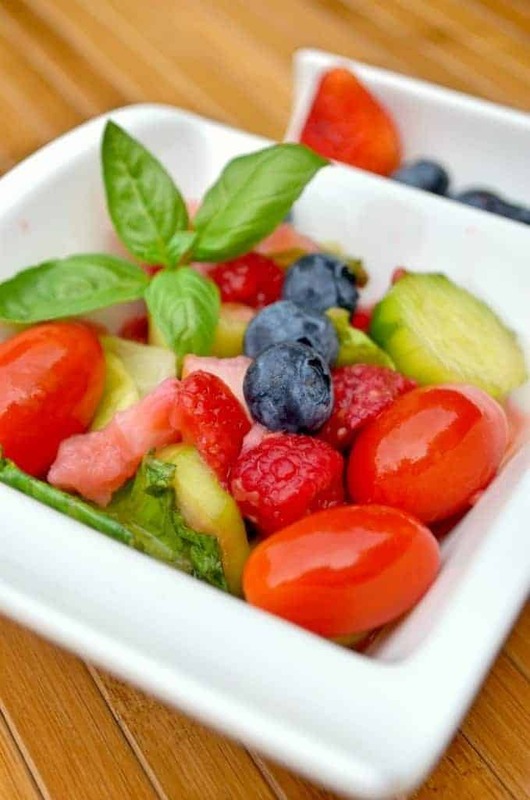 This bright and cheery salad combines veggies and fruit with a bright orange dressing that makes everything pops. Yum! This recipe for Pink Lemonade Popcorn is super adorable for the next baby shower you’re hosting! 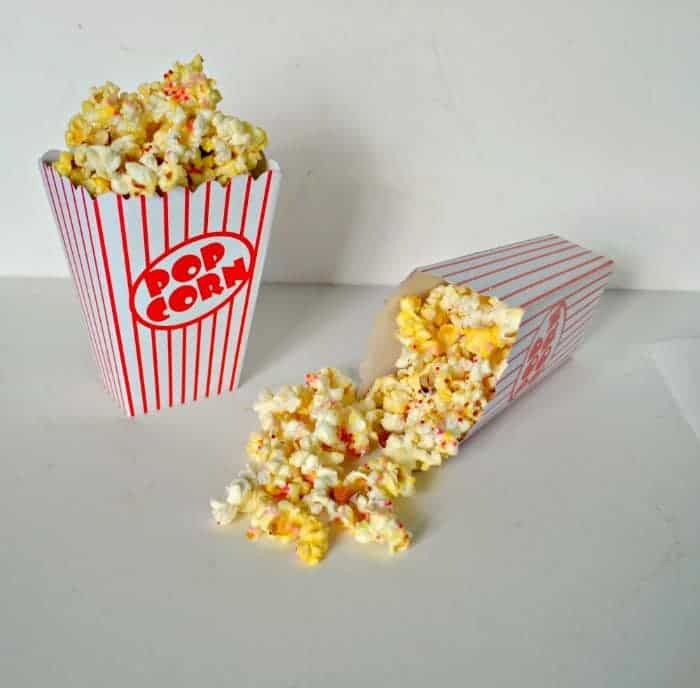 Popcorn makes a great snack to place either in various snacky bowls around the room, but also displays nicely on a table of other nibbles. This colored melting chocolate with added pink lemonade flavor is perfect for a girl, but you could also easily change this to a blue drink mix or even green for a unisex shower. All you have to do is change the color of your sprinkles and chocolate to fit your theme. This popcorn also works easily with a gender neutral baby shower. Yum! I often am looking for a crafty, sweet treat for a baby shower that looks fancy on the table but isn’t too hard to make. These Brigadeiros also known as Brazilian Chocolate Fudge-Balls are perfect! You can customize the outside to be cutesy with colorful sprinkles or eloquent with chopped nuts or a white chocolate drizzle. 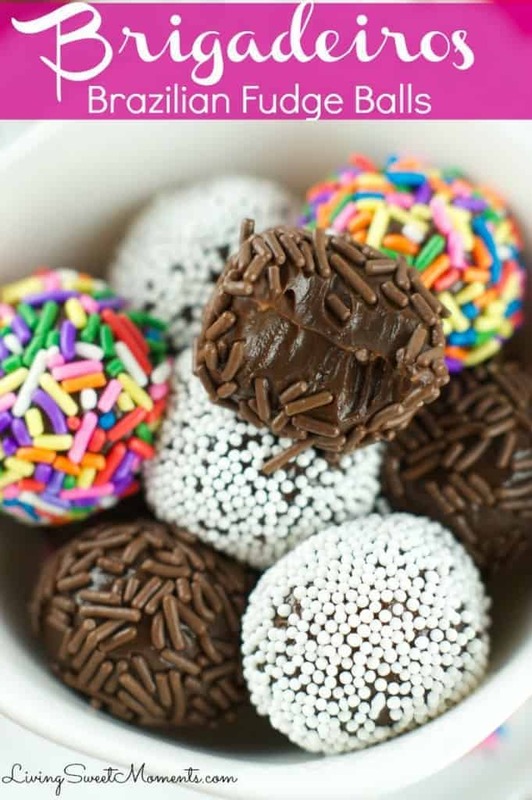 Best of all, you can make these Brigadeiros further in advance of your party by freezing them. I think you could also pair these with a cute baby shower cake for a lovely dessert table. Thanks for all the ideas,my daughter is expecting her first and i am collecting ideas for Appetizers and some of those look perfect. We had chicken salad sandwiches at my baby showers! I would love to try the samosas. Everything looks delish! Those fudge balls look amazing! Every one of these look delicious. My favorite is probably fudge balls, though. You know – because FUDGE!